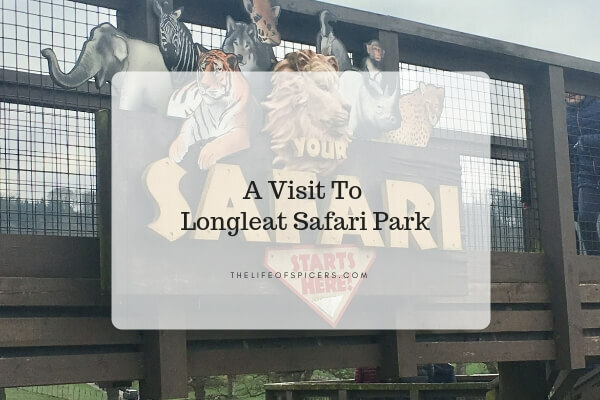 The last time we visited Longleat Safari Park, Abby was a baby and it was on our last day of a short holiday at Center Parcs which is just down the road. I have been saying for years that we needed to go back for another visit, and we finally managed it just after the New Year. Longleat Safari Park is located in Warminster, Wiltshire. The postcode for a Sat Nav is BA12 7JS however you are advised to follow the brown signs as you approach. 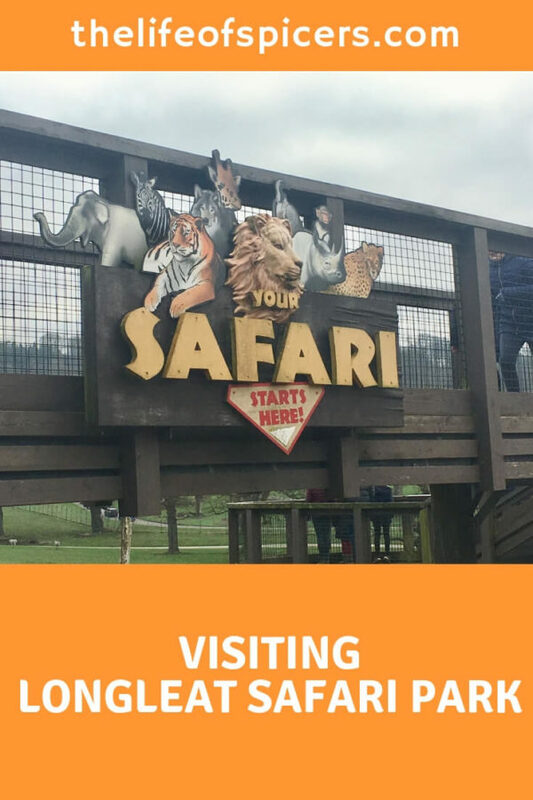 The safari park is very well sign posted and we didn’t have nay trouble finding it at all. We planned our day to arrive late morning with the plan to go through the Safari as we arrived. This turned out to be a great idea as it meant we didn’t need to park the car and then return to find it to drive across to the Safari entrance. 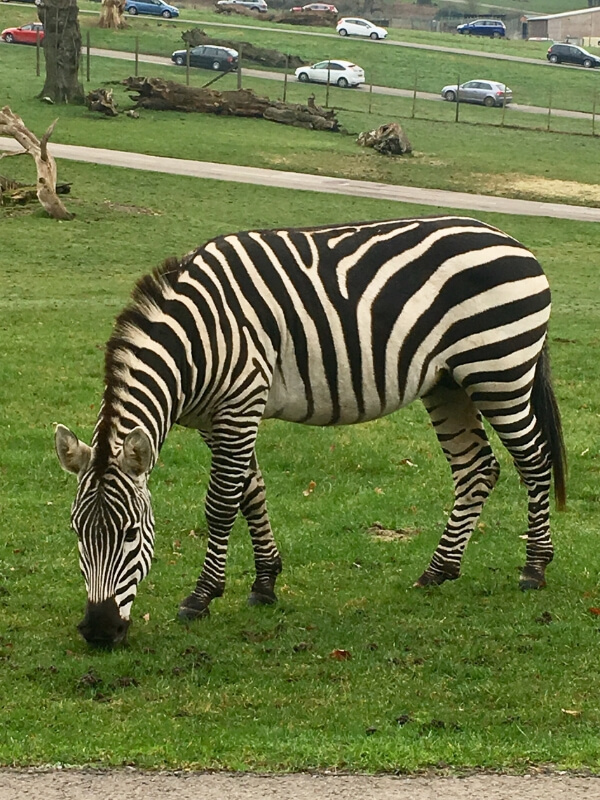 From the main Longleat car park, you have to drive around ten minutes to the entrance of the Safari. At this point you can park your car at African Village and walk to see the giraffe and Lemurs. On cold days the animals will hide inside which we noticed as we visited on a very cold day. If you don’t want to take your car around the Safari, there is a Safari bus that leaves during the day for an additional fee. Back in the car and we set off on our Safari journey. Guided by the CD audio, we drove through the enclosures enjoying the animals up close. We came across some particularly angry vultures as we witnessed them attacking the tyres of the cars as they went past. Thankfully by the time we approached them something had distracted them so they left our tyres alone. We had already decided to bypass the Monkeys as we weren’t sure our car would survive. I was a little sad but actually in hindsight it was the right decision as we didn’t need yet another car bill. I was looking forward to seeing Anne the elephant but she was hiding inside for warmth I think. At the deer park, we stopped to feed the very hungry deer. They were funny poking their heads inside the car for the food. We spent a lot of time laughing at Abby as she tried to feed them a bit at a time. The safari got very interesting when we began our journey into the big cats. Starting in tiger territory, we spotted one lone tiger sitting in the grass just by the car. That was quite an impressive sight, and there were also young cubs enclosed that were quite playful and eager to see what was going on outside their enclosure. 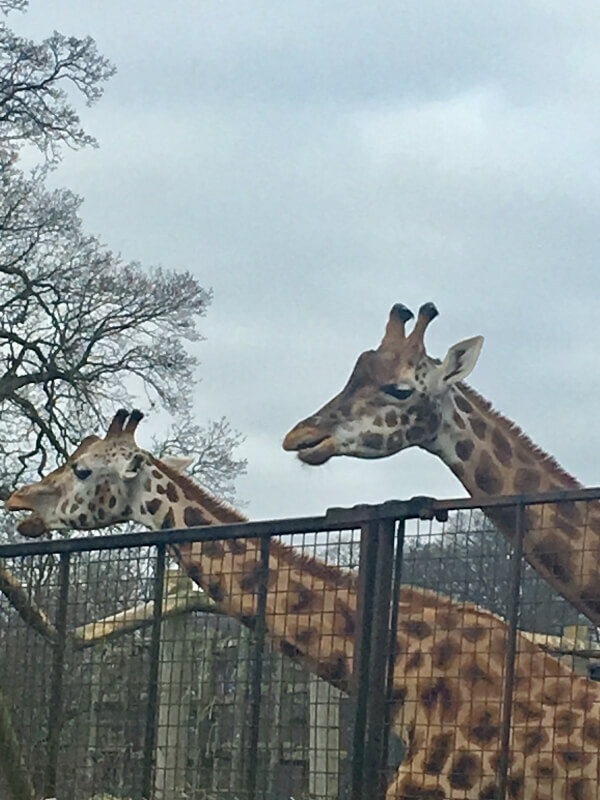 Longleat have their safari set up brilliantly with double gates letting cars in and out. We were in a slow moving queue for the majority of the safari tour, but it never felt as though we waited too long to see anything or move through to the next enclosure. There were some very playful lions in the enclosure as we drove slowly through. The lions out and about were hidden away slightly in the long grass, however we got some brilliant views of them. We were all looking forward to the Cheetah’s and as it turned out we were treated to an amazing display. 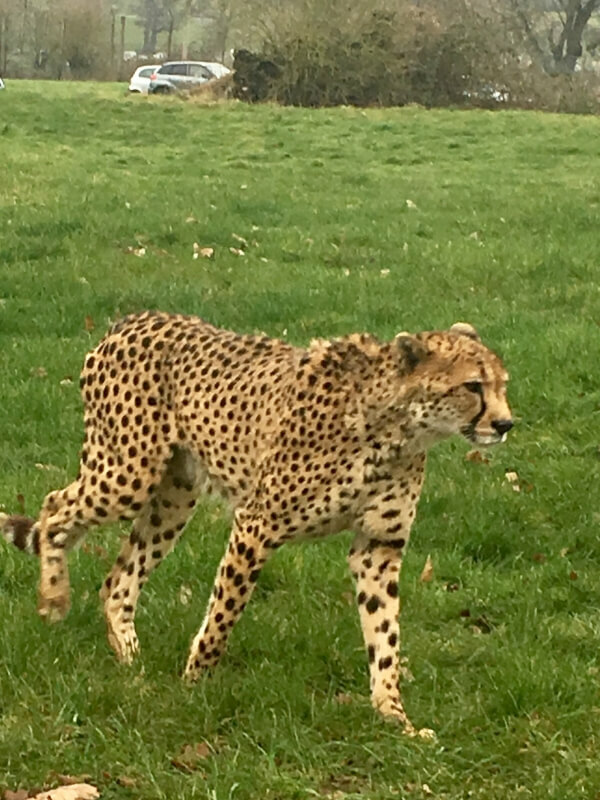 There was a big line of cars waiting to see the young Cheetah’s in their enclosure, and we were just about to move our car when we realised there was a lone adult right next to our car window in the path. We think he was a bit inquisitive as there was a ranger herding it back away from the exit gates. Perhaps he was hoping to pop next door to see the Hyena’s. Our journey through the safari too around 1.5 hours. You are advised that it can take up to three hours on a busy day, and I can see that this would be a possibility. We took a picnic with us in the car and grazed on our lunch as we were watching the animals. If you have children, or visiting over the lunch time period, then I would advise having snacks or lunch in the car as if you’re stuck in a queue of cars there wont be anything you can do to speed things up if you’re hungry. We left the safari and parked in the main car park to finish off our lunch before heading into the grounds to see the other attractions. 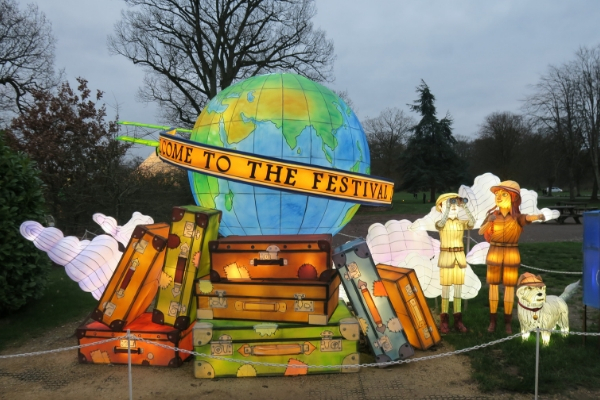 We were also here to see the Festival of Light after dark and had a few hours to enjoy the rest of the facilities. 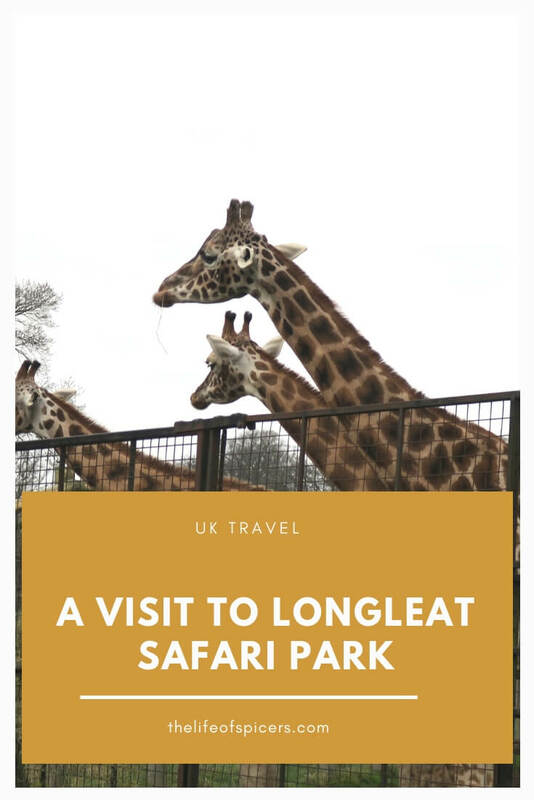 There is quite a bit to see and do at Longleat that I had forgotten about from our last visit. 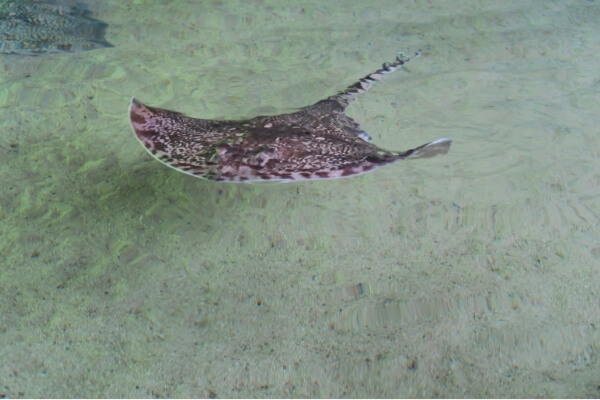 In the Animal Discovery, you can see Penguin Island, the Ray Bay, Monkey Temple, Animal Adventure to see the tarantulas, pythons, armadillos and macaws. You can take a trip on the Jungle Cruise which tours around the island that was once home to the famous gorilla Nico. It’s now the place to feed the sea lions and see the Gorilla Colony. We had some great entertainment from the sea lions at feeding time, but it was too cold for the Gorillas so they stayed inside. 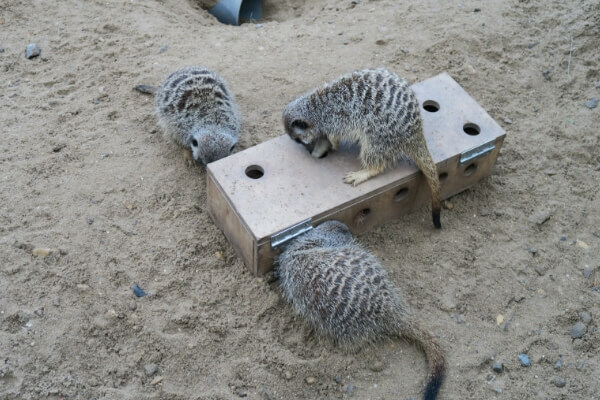 In Jungle Kingdom, we were entertained by some very mischievous meerkats as they were trying to escape their enclosure. I have some memories of our last visit to Longleat and being in the Adventure Castle area. It’s filled with playground equipment where the kids can get lost for hours in the tunnels. There is also a soft play area for the smaller children. No visit to Longleat would be complete without a visit to the famous maze. It was sprinkled with fairy lights as it was Christmas time which was lovely. We managed to find the exit after about ten minutes but it was difficult trying to keep everyone together without losing one of us. As it was a cold day, we decided to head inside one of the restaurants for a hot chocolate and to warm up a bit. There are plenty of places to stop and have a drink or a meal / snack at Longleat, but we had decided to eat on the way home instead. It was starting to get dusk after we had warmed up so we began our slow walk around the Festival of Light. It doesn’t need to be fully dark to appreciate the trail but when it does get dark, the lights are even more spectacular.